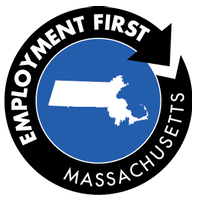 The Employment First MA Coordinating Center is funded by the Massachusetts Department of Development Services (DDS) to provide training and technical assistance to support the implementation of the Blueprint for Success: Employing Individuals with Intellectual Disabilities in Massachusetts. The center is a collaborative systems change initiative to increase integrated employment opportunities for individuals served by the Department. Through this center, in partnership with DDS, the Institute for Community Inclusion provides training and technical assistance for providers, works with the state’s self-advocacy organization to support the Explore, Prepare, Act peer-to-peer training initiative, and provides support and consultation to DDS on a range of policy and practice issues in the area of employment and community-based day services. An e-newsletter also provides access to information, tools and resources.